Like the old Vampirism, but now with Werewolves. 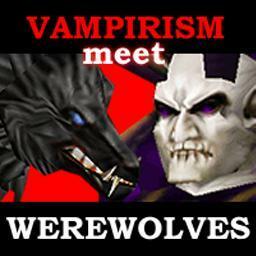 Vamps and Wolves are not allied but both should hunt Humans first to gain allies. Primary Vampire is stronger than Werewolf in the beginning. No one has posted a comment for Vamps and Werewolves b1.0 yet.